Has the Meghan Markle effect gotten the best of you? Are you always a tad bit too late to scoop up the latest jeans, coats, or dresses the soon-to-be royal wore for an outing? The feeling of frustration is mutual—but the good thing is that restocks are usually (hopefully) on the horizon, and the first one has officially landed. 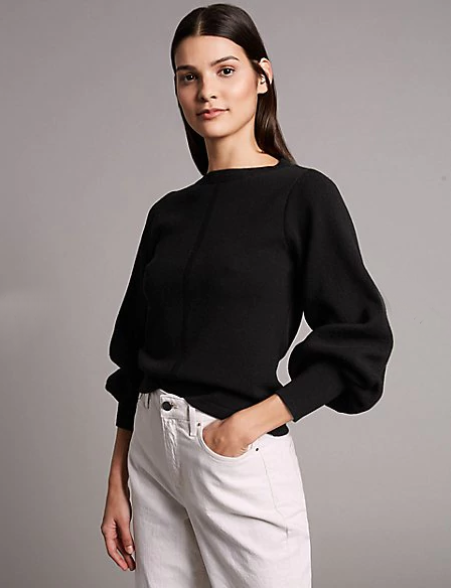 The $78 Marks and Spencer sweater Markle wore in early January is back and better than ever, i.e., in addition to classic black, it's now available in a new color the brand has dubbed Flame—a bright orange that is the perfect color for spring. So, if you missed your chance to score this affordable, Meghan Markle–approved piece the first time around, we suggest you act fast because, as expected, many sizes are already showing a "Low Stock" alert. Read on to shop the sweater before it's gone again. Available in sizes 6 to 22.